Things didn’t exactly go as planned at today’s weigh-in for a few fighters. Kelvin Gastelum missed weight by approximately, uh… well the thing about that is… he didn’t even hit the scales officially. 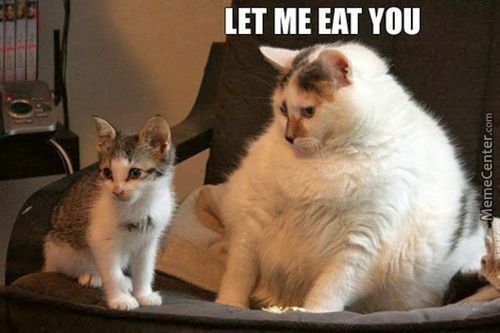 So here’s a picture of a fat cat that we can all laugh at, so we don’t feel so bad for Gastelum. This forced the cancellation of the bout with Donald Cerrone, and Dana White was pretty adamant we’ll never see Gastelum at welterweight in the UFC again. Another somewhat predictable weight issue popped up with Thiago Alves claiming food poisoning caused him to hit the scales at 163.5 lbs., juuuust a bit outside of the 155-pound limit for lightweight. Cerrone is now rumoured to be squaring off against Matt “The Immortal” Brown at UFC 206, but nothing is confirmed yet. With all of the fun stuff out of the way, let’s get down to some predictions, shall we? note: for the sake of brevity, we're going to cover the "big" fights on the card. Before missing the scales, I was expecting Alves to dissect Miller on the feet. After missing weight, I’m not so sure. It still seems like it could go that way, particularly if Alves isn’t incredibly drained from the cutting process, but this certainly plants the idea of Miller exhausting Alves with grappling into the mind. If Miller can’t thoroughly out-grapple a depleted Alves, expect him to really struggle with the Muay Thai game of “The Pitbull”. I’ll stick with my initial lean, and that is for Thiago Alves by decision. The never-ending debate of striking against grappling is prevalent in this potential lightweight title eliminator. Nurmagomedov will of course be in search of the takedown, while Johnson will be on his bicycle trying to create space and land quick, precise combinations. This is a great test for both fighters, and one I wish we could see take place over 5 rounds instead of 3. Whoever can implement their game-plan more efficiently, and perhaps more importantly, first, should be the winner in this fight. A lot of people are picking Nurmagomedov, and rightfully so, but I’ve got an inkling that Michael Johnson upsets Khabib Nurmagomedov in a razor thin decision. 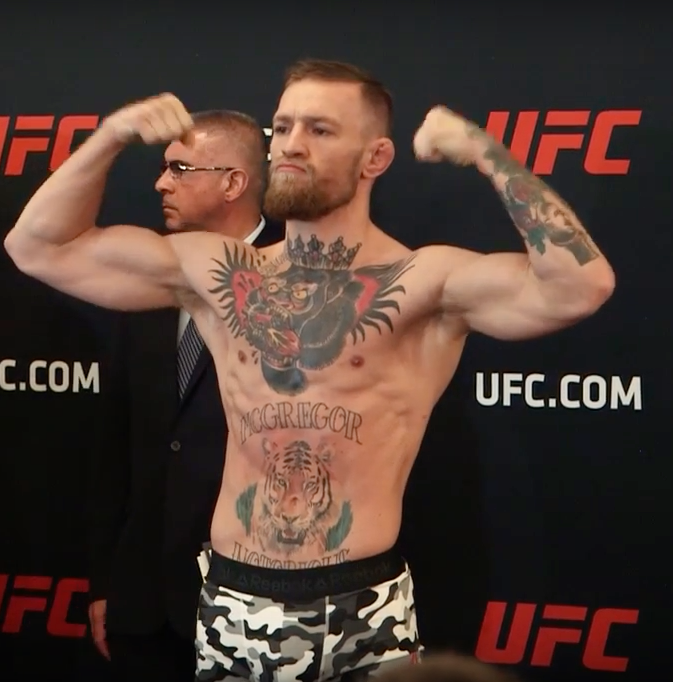 I felt pretty bad for Stephens when Conor McGregor big-league’d him at the UFC 205 press conference awhile back, alluding that nobody knew who he was. Don’t worry Jeremy, us hardcores know you (and most would actually really like to see you take on McGregor). That said, I think Edgar is just too much for Stephens. Watch for him to do his usual thing, dancing in and out, mixing in his takedowns, as Frankie Edgar wins a straight-forward unanimous decision. For the sake of keeping this entry under 5000-words for our wonderful readers, we’ll keep this one short. Raquel Pennington is a decent fighter, Miesha Tate is the better fighter here. Pennington’s hope is to keep things on the feet and win a striking battle, but expect Tate to demonstrate why she is the former champion in this fight. Miesha Tate by TKO in the second round. A battle of two very similar, and very talented fighters is always going to be difficult to predict. With that preface out of the way, let’s do the exact opposite and say that Weidman is going to beat Romero. It’s not that I think Romero doesn’t stand a chance. He absolutely does. It’s just that Weidman is likely a shade better than Romero in almost every facet of the game, and over the duration of the fight that will become evident. A finish for either man would be a big statement with regard to who is the next title challenger, so I’ll say Chris Weidman TKO’s Yoel Romero in the third round. I’ve got nothing against Tyron Woodley. I feel like I need to say that, because I think I pick against him every time he fights. I have little faith in him landing anything similar to the haymaker he landed on Robbie Lawler to claim the belt. Thompson is arguably the best striker in the UFC right now, and is looking like he could be the welterweight version of Lyoto Machida. Thompson’s thorough outclassing of Rory MacDonald should be concerning for anyone siding with Woodley. Look for Stephen Thompson to shine here, as he finishes Woodley in the first half of the fight to claim the welterweight crown. I’m going to spend one sentence saying that I don’t believe Conor McGregor deserves this shot, and that is all on that subject for now. Eddie Alvarez poses a lot of theoretical problems for McGregor. He can take a punch, he can give one just as well, and importantly here, he can wrestle. Are we going to see the Alvarez who was content to grapple Anthony Pettis against the cage, or are we going to see the Alvarez who brawls wildly? I fear that we will see the latter for too much of the fight, and that McGregor will stun, and finish him to become the first “two-division” champion. My head says Alvarez, but my heart says Conor McGregor makes history, by way of a second or third round stoppage due to strikes. I couldn’t let Dave get away with making all the picks, so let me quickly add my own. Jim Miller vs. Thiago Alves: Jim Miller wins by decision. I don’t think Alves will have the power or stamina anymore to beat a guy on this good of form. Khabib vs. Johnson: As much as I’d like to see Nurmagomedov lose so he will stop complaining, I think he wrestles Johnson to a decision victory. Edgar vs. Stephens: This one is pretty simple for me, Frankie does what Frankie does and bounces around and jabs Stephens, Edgar wins an easy decision victory. Tate vs. Pennington: As much as I hate to agree with Dave, Miesha is not elite but still a different level than Rocky. Miesha fought with a broken nose for a while against Nunes, she’s tough enough to out-box Pennington. Miesha by unanimous decision. Weidman vs. Romero: Romero’s beach body will fail him and he will gas hard. Weidman wins by TKO in the 3rd round. Woodley (c) vs. Thompson: Wonderboy is too smart to be pitched by Tyron. Woodley is fast ‘AF’, but I think Thompson will win with something spectacular. I’ll take Wonderboy by head-kick in the 2nd round. Alvarez (c) vs. McGregor: Exactly what Conor says, Eddie allows himself to take hits. I think this will be his downfall. If his chin stands the test, McGregor by unanimous decision. If it falters, Conor by 2nd round KO. Johnson vs. Gaethje: Forgettable or Formidable? Writer and Public Relations background. Beer Expert.